Dave & Kim Egdorf’s Western Alaska Sport Fishing is a fly-in Alaska fishing trip experience in western Alaska’s Bristol Bay region. 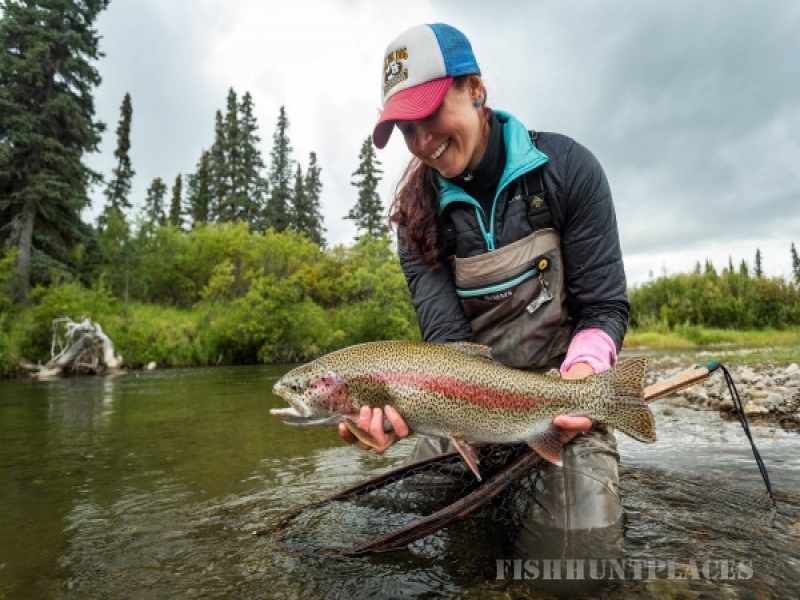 Enjoy catch-and-release fishing for rainbow trout, dolly varden (char), grayling and five kinds of salmon on the beautiful Nushagak River. Our camp, on the banks of the Nushagak, is well-defined as “rugged comfort.” The surrounding wilderness is breathtaking and unspoiled. Fishing is the main attraction, with wildlife sightings and available side trips to spice things up a bit. We are passionate about angling, and we aim to make your time here as enjoyable and memorable as possible. Please call us with questions, or to reserve your time fishing in the great Alaskan wilderness!